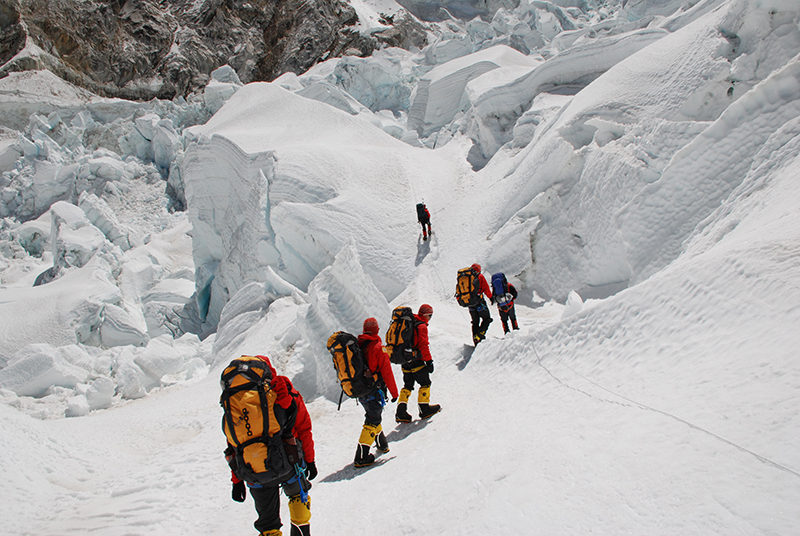 KATHMANDU, Feb 25: Two organizations have been illegally charging mountain climbers fees to the tune of Rs. 80,000 per climber in the name of the Ministry of Culture, Tourism and Civil Aviation. Foreign climbers who come to Nepal to climb Mt Everest, Mt Lhotshey and Mt Nhutse were charged Rs. 60,000 by the Sagarmatha Pollution Control Community and Rs. 20,000 by Mountaineering Operators' Association but no action has been taken against these unregistered organizations. These organizations have been illegally collecting 30 million per annum. An official of the Sagarmatha Pollution Control Community said that permission is granted from the Tourism Department to collect cash for the Khumbu Icefall road construction. However, according to Director of Tourism Department, Dinesh Bhattarai, the department has only given permission to construct the road and clean Camp 2 of Sagarmatha, . However, he added that these two organizations have been illegally collecting cash from the foreigners and the government has stopped their actions after they found out about it from foreigners’ complains about the issue. The climbers have filed case against the illegally charged fees in Tourism department but no hearing has been made.The case was filed against the Director General of Tourism Department, Dinesh Bhattarai as 20 thousand rupees was collected for second camp of Sagarmatha and the work was not started. The mounteeneirs have complained that besides the Mounteenering fee extra 40 thousand rupees must be paid so due to this they have said mounteenering to be expensive in Nepal.